Where are the Ancient Egyptians; Philistines; Babylonian Empire; Persian Empire; Greek Empire; Roman Empire; Byzantine Empire; Crusaders; Spanish Empire; Nazi Germany and Soviet Union? All Gone! Iran...??? The Jewish people - The smallest of nations but with 'A Friend' in the highest of places... So a warning to all nations BE nice! It’s hard to imagine a more interesting time in which to study Bible Prophecy than today, with its rapid movement of events. We find the Bible mentions those events that will make tomorrow's headlines. The study of prophecy gives poise and confidence in the face of confusion; it brings comfort in sorrow; it must not be neglected because one fourth of the Bible was prophetic when written; it can be used to bring conviction and conversion to bewildered people; and it ought to bring cleansing and consistency to your life. These are some reasons why we study prophecy. We focus on predictions yet to be fulfilled. In understanding prophecy we must consistently follow literal inter­pretation. We must always remember the promise of (Yeshua) Jesus, who assures us that the Holy Spirit shows us things to come and… the benefit of knowing God's Word about tomorrow's news. Undoubtedly, events of recent decades have aroused an increasing interest in prophecy on the part of many people. Not only the establishment of the Nation of Israel in 1948 but the prominent place it continues to occupy in International diplomacy is inexplicable a part from an understanding of Biblical prophecy. The economic interdependence of nations becomes more pronounced all the time. The ramifications of military action anywhere stagger our imaginations and make many of us afraid of what might happen next. Almost everyone has some interest in prophecy for example… millions read daily horoscopes in the newspapers. You may even have caught yourself glancing at one; half believing that it could tell you how your day might turn out. Astrology and fortune telling are huge businesses today. The unstable political climate worldwide also generates an interest in prophecy. Government leaders demonstrate all too often that they do not have the answers. Many seem to realize more than ever today that the Bible has something to say about tomorrows headlines. And, in fact, it is the only accurate source about the future. What is prophecy? The dictionary says that prophecy is a declaration of something yet to come, or a prediction. When we apply this definition to the prophecies of the Bible, we realize immediately that where we stand in history will determine what we consider to be prophecy. Strictly speaking, prophecy is the foretelling of anything that is the future. Let’s look at Messiah’s prophecies in the Bible. Before Yeshua (Jesus) was crucified, He made a prediction and made a promise to His disciples. He told them that; “When He, the Spirit of Truth is come, then He will guide you into all truth… and He will show you things to come” (John 16:13). A little earlier, Yeshua had said that it was necessary for Him to put off telling the disciples some things, while He was on earth, simply because they could not understand them until after His resurrection and the coming of the Holy Spirit. The Bible contains many prophecies which already have been fulfilled and are now history. But there are yet Bible prophecies still to be fulfilled, and we expect them to come to pass exactly as predicted and make tomorrow’s headlines. The Holy Spirit is here now, to guide Christians to all truth! Our Newsletter this month; "Prophecies of Israel"… This includes knowledge of Yeshua (Jesus) Himself, for He is the Truth and of all things revealed in the Word of God. But, particularly, the Spirit will show believers "things to come." We are specifically promised help in the study of prophecy. There is no finer objective proof of the authority of the Bible than "fulfilled prophecy!" Have you ever heard a Christian say (usually with a heavy sigh of resignation)… "Yes, I know that God is still on the Throne!" One gets the impression that God is about to be toppled from His Throne by whatever misfortune caused the comment! The truth of the matter is that God is not only on His Throne… but is also actively, positively and sovereignly controlling the affairs of men to suit His own purposes. The Jew and God’s promises-~ God chose the nation of Israel to be; His son, His firstborn, His special people Exodus 4:22; 19:5. And to Israel, He gave specific promises that are the basis of many things that are to happen on this earth. Whether the world understands it or not, the Jews are God’s chosen people. This is stated and re-stated in God’s Word. Even in New Testament times, when the church entered the picture, God re-affirmed that His choice of Israel has NOT been set aside. "Has God cast away His people?" Paul asked. And the reply is unmistakably clear "God has not cast away His people that He foreknew" Romans 11:1 - 2. One of the most improbable facts of world history has been the survival of the Jewish Nation. But, God said that this would be so (Jeremiah 31:35 - 36). 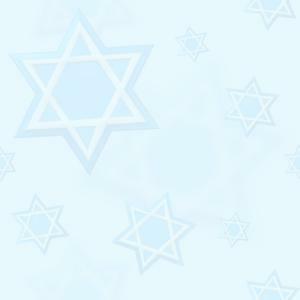 Discipline in the form of dispersion has come to the Jews, but their continuance as a people has NEVER been in jeopardy! The persecution and preservation of the Jews throughout history has been a fulfilment of prophecy. Through Moses the Lord predicted the Jews dispersion "from one end of the earth even unto the other" Deuteronomy 28:64 and their persecutions: "your life shall hang in doubt before you" (Vs. 66). Our Lord confirming the promise made to David that his seed will continue to exist as an entity right through the entire tribulation period; persecution, dispersion, slaughter, slavery and intermarriage could have irradiated the Jew except that God has promised that they WILL continue as a people to fulfill His predicted purposes. Nothing else can account for their unique history! But what of the unfulfilled promises made in the covenants to Abraham and David? Will the Jews really possess the entire Land of Israel? Will Messiah’s Kingdom actually be established on earth? Certainly All of God’s past dealings with the Jews encourage us to believe that these promises will also come to pass. Israel and the future -~ New nations have been born with such frequency in the past several decades that we have come to accept them as common place. We are used to having a war going on somewhere in the world. But, the birth of one certain nation and its "little" wars are of great prophetic significance. That nation, Israel, declared her independence on May 15th, 1948. The six day war that began June 05, 1967 was the conflict. Why should a "little" nation in a "little" war attract so much attention? What do these events mean in relation to Bible prophecy? The rebirth of the nation of Israel in our day is unique among all the nations-~ the entire nation was destroyed twice, but both times it came back into existence. Not only was the nation destroyed twice but both times nearly all the people were taken captive into foreign countries. Yet they returned to the land. All this points to the uniqueness of Israel, as it is not a nation like other nations. Israel should have ended as a nation… and probably as a people in 586 BC, but it survived. Israel definitely should have ended in 70 AD, but as the ancient Bible prophets write the nation was literally reborn after ceasing to be a nation for almost 1900 years, on May 15th, 1948, Israel the nation was again reborn. There is simply no nation like Israel! Notice particularly the phrase - "the second time." The First captivity was known as the "Babylonian Captivity" and it lasted 70 years. Some Jews returned to rebuild the Temple but under the Roman rule, the Jews were dispersed to all corners of the earth. The return from this dispersion "the second time" as Isaiah spoke of. This return will bring Jews from ALL parts of the earth and not simply Babylon. This return will be the final one, for the prophets also predicted that when the people return on this occasion their will be no further dispersion of them: "And, I will bring again the captivity of My people of Israel and… I will plant them upon their land, and they shall no more be pulled up out of their land which I have given them, says the Lord" Amos 9:14-15; Jer. 16:15; Isaiah 60:21 and Ezekiel 36:24. It is important to notice, particularly in light of the spiritual condition of most Jews today that their final return will be accompanied by spiritual cleaning and regeneration. This promise is carefully interwoven with the promises of their return (Ezekiel 36:26 - 28). The vision of the "Valley of Dry Bones" (Ezekiel 37) which follows this promise pictures the new life when she returns to the land. Of course Israel has not yet been cleansed of sin, except for the Messianic Believers (those who believe in Yeshua as their Messiah), so whatever is happening in Israel today can’t yet be the complete fulfilment of these prophecies. God’s Covenant to the land is HIS Name (ELohim) in IsraEL; 1 Kings 8:28-29 and HIS Name in the three Mountains surrounding Jerusalem that form the letter. The letter "Shin" in the Hebrew Alphabet (in shape of W); meaning "EL Shaddai - Almighty God." The understanding of why God called the nation of Israel, the history of the nation and the prophecy related to Israel, will reveal the authority of The Bible as the Word of God. If Israel is understood spiritually and not just politically, an entirely new and exciting reality of the time we live in unravels. We are now living in the time that the ancient Jewish prophets wrote about: the nation of Israel has been reborn and Jerusalem is once again the capital of the Jewish nation. The reality of God and the Bible can then be proved through the fulfilment of what the Bible states about the nation of Israel. What an awe-inspiring concept this is – Bible prophecy is alive before our very eyes. Jerusalem’s future -~ More and more Jerusalem will appear in the headlines. Israel is at the centre of three continents (Europe, Africa and Asia) and Jerusalem is her capital. Military and economically, this is a strategic part of the world, and Jerusalem is at the hub of it all. The immediate future for Jerusalem to the end of the age and the rapture of the church will not be a secure one. Israel will do everything in her power to hold Jerusalem as part of her God-given territory. As Israel’s leaders have often said, "Jerusalem is NOT negotiable." Iran is Israel's biggest existing threat in the Middle East today-~ for years, Iran has repeatedly threatened to wipe Israel off the face of the map and they are quite certain they intend to do just that. Iran’s ultimate goal is to be the undisputed leader of the Islamic world – and the way it hopes to achieve this by delivering Jerusalem to Islam. With so much of the (current) Arab world in the Western camp – particularly the oil rich states of the Arabian Peninsula – and with Israel’s military machine maintaining its regional dominance through American aid, the only way in which Iran can achieve its aim is through a strategic alliance with Moscow. It is immensely significant to see how some of the best of the secular intelligence community are coming to the same conclusion as Bible prophecy. We’re praying for peace in the Middle East while we prepare for the possibility of war…! Israeli Prime Minister Benjamin Netanyahu called for the international community to take immediate military action if they were to prevent Iran from achieving nuclear weapons within the foreseeable future. This tells us that Israel still considers this threat relevant and very dangerous to their existence. Prime Minister Netanyahu refused to acknowledge whether Israel herself possesses nuclear weapons… But he did say: "We don't pose a threat to anyone. We don't call for anyone's annihilation. We don't foster terrorism. We don't threaten to obliterate countries with nuclear weapons. But we are threatened with all these threats. We have not fired thousands of rockets into our neighbours." 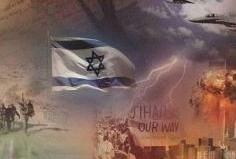 We believe that Iran and allies (Syria, Lebanon and Hamas in Gaza) will be the key to start the war of Psalm 83. The rocket build up in Lebanon, along with the collaboration between Iran concerning the destruction of Israel, along with an Iranian desire to thwart the peace talks between Israel and the Palestinians, make it likely that war is about to explode in the Middle East. We also believe that war and NOT peace is what is coming for Israel as Arab enemies surround her. The latest news from the Middle East acts as a pronouncement of the death on any peace deal between Israel and the Palestinians. Keep in mind that the Bible speaks of Israel and the Palestinians in Psalm 83. There it is prophesied that war… not peace, is what we should be expecting in the future. News spoken of is merely an agreement between rival Palestinian factions, Hamas and Fatah making peace simply to get recognition at the U.N. in September 2011 - but at the same time Hamas is reserving the right to harass the Jews and the State of Israel since they do not recognise either! UNESCO became the first UN agency to admit Palestine as a full Member after its Member States voted (107-14) to admit Palestine as the 195th Member of UNESCO on 31 October, 2011 during the 36th session of the Organization's General Conference. They did this deal with the full knowledge that this agreement is the death blow for any peace accord between Israel and them. The Palestinians have nothing to lose… for even if the Security Council rejects their bid for statehood, even though approved by the General Assembly. Although this is less significant than an endorsement by the Security Council, an approval by the General Assembly does nonetheless have some teeth. Most notably, as many commentators pointed out, there is something known as (UNGA) Resolution 377 that allows the General Assembly the calling for sanctions or even for military force against a country failing to implement its recommendations. If the "civilized world" helps bring the Palestinian plan to place then a very likely result of such actions will be the outbreak of war. Thus, in a world turned upside down it will be the U.N. a body formed to help ‘foster peace throughout the world,’ which will be directly responsible for bringing the next great Arab-Israeli war to the Middle East. Notably, more than 60 years ago the Palestinians rejected a similar state that had been allotted to them by the UN. A few months later when Israel declared a state, rather than reject one, in the portion they were granted by the UN, several Arab countries attacked the new Jewish state. That was the first war of independence, a result of Arab refusal to receive anything less than 100%. In the following years, nothing has fundamentally changed in this respect, the only difference being that the Arabs have finally learned how to achieve their goal. Thus they're ready to accept what they formally rejected as a means for eventually getting it all. This brings us to today and the quickly approaching second war of independence for Israel. Unlike 63 years ago, this time around nearly the entire international community will be aligned with the Palestinians against Israel, making Israel the sole villain. First there will be calls for sanctions against Israel for failing to immediately remove its military and citizens from the new Palestinian state in Judea and Samaria. Then there will be the predictable eruption of terrorist attacks in Judea and Samaria (so-called West Bank), making life hell for the Jews living there. The attacks will then spill over into the rest of Israel, bringing back memories of the horrors of the past decade. Next up; will be rocket attacks from Hamas in the south and Hezbollah in the north. Thanks to a porous border with Egypt as well as other regional changes, Iran will have no problem constantly re-arming its allies. As the attacks intensify… Israel will be routinely chastised for retaliating and not showing proper restraint as such Arab attacks will be viewed somewhat understandable in light of continued Israeli non-compliance. Moreover, Israeli reprisals will probably draw some neighbouring countries into the fray as they all begin to sense Israel’s imminent downfall. If Israel is still obstinate following the sanctions and Arab attacks, then the U.N. may call for military intervention in order to enforce the will of the international community. Consequently, they will do to Israel what they will never do to Iran. After all, Israel's continued presence in Judea and Samaria – (NOT the Arab violence, terrorism, hatred, and anti-Semitism) will be considered as being the main reason that peace and harmony is lacking in the region. Following the isolating effect of sanctions together with incessant terrorist attacks and missile showers, the threat of military intervention will probably do the trick. The acceptance of the return of so-called Palestinian refugees to Israel; the division and internalization of Jerusalem… will make their ‘Palestinian War of Independence’, their first stage in their combined effort and plans to totally eliminate the State of Israel. Is this scenario an exaggeration? Perhaps? Although keep in mind that before the Gaza Disengagement there were those who warned that the Israeli pullout from Gaza would result in missiles landing in nearby Ashkelon and not peace... Not only did they explode in nearby Ashkelon but even reached Beersheba, nearly 50 kilometres to the east. For years the Palestinians that have been used as a political football by Jordan, Syria, Egypt and others have called for a Palestinian state within the boundaries of an Israeli state that has already been greatly shrunk from the original area designated by the Balfour Declaration. Most Palestinians in the main do not want peace with Israel. Palestinian children learn in schools to hate the Jews and refuse to include the nation of Israel on any current maps of the Middle East. December 2011 also revealed that Saudi children learn to "hate and kill" a Jew in their school books. The hatred of Hamas, Fatah, and the other Islamic nations that border Israel is; anti-God, Satanic, demonic and same anti-Semitic spirit of Hitler. For the above reason and because of Bible prophecy we can be assured that there will soon be war in the Middle East. Eventually Israel will be forced to lead a major ground assault upon those that continue to make normal life in portions of Israel impossible. No matter what peace moves are pursued or progress is made, war is the inevitable result of the radical Islamic people that border Israel. War and not peace is in the short term future for Israel. They will win these soon-to-come wars and will live for a brief while in peace and security in the Middle East. BUT, one thing we know the Bible tells us sometime in the near future, both the Psalm 83 war and the battle of Gog and Magog Ezekiel 38 have an appointed time. We also know that both wars don't end well for Israel's enemies. One other thing should be pointed out, even though the Bible says God will destroy this Russian-Islamic Alliance, that doesn't mean Israel will not retaliate. It is likely under these conditions that they might choose to use nuclear weapons. If this is the case… could this be the time when Damascus finally meets its prophesied date with destruction and is completely destroyed as prophesied in Isaiah 17:1? Today one can watch Muslims praying at the Dome of the Rock atop the Temple Mount, Jews praying at the Western Wall barely a stone's throw below and Christians praying along the Via Dolorosa and at the Church of the Holy Sepulchre a few hundred metres to the north and west… And all around one sees the rubble of the centuries of conflict over this holy place. Who will write the next chapter in the history of this troubled city, Jerusalem? Believe it or not, the final chapters are already written - prophesied centuries ago in the pages of the Bible. Ominously, they mesh remarkably well with today's headlines. What few realize is this one crucial fact: After 1,900 years, the restoration of a Jewish homeland in the Middle East was necessary to fulfill ancient prophecies you can find in the Bible. This region, once a "political backwater" of little or no interest to the world is destined to become the centre of the final global crisis that will usher in cataclysmic events leading humanity to the brink of extinction — and ultimately change our world forever. Many serious challenges lie ahead in 2012 for Israel… but we are deeply grateful to the Lord for you for standing with us and blessing Israel. The Lord IS going to rescue His people… Who knows if just like Esther, God has put YOU in a certain place at this time of history to be His agent of redemption for Israel?